Our new DOMO Outdoor Collection of furniture offers a wide range of versatile and sophisticated furniture suited to every outdoor setting and lifestyle. With an emphasis on flexible, modular and affordable design, the DOMO Outdoor collection can be used to create comfortable, welcoming environments for relaxing and spending time with family and friends. The DOMO Outdoor collection includes dining tables, sofas, chairs, sun loungers, bar stools, tables and ottomans. The range has been developed and manufactured to meet DOMO’s high standards while offering excellent value for money. Good looking and long lasting, each piece is designed to endure the Australian climate and to provide practical, versatile solutions for outdoor living. The collection includes eight ranges, and their complementary nature means each piece can be mixed and matched and configured in different ways depending on space and needs. Chill is a modern range of outdoor furniture that is perfect for relaxing. It includes a two-seater sofa, lounge chair, dining chair, coffee table and side tables, with rounded aluminium frames, teak tabletops and elegant rope detail on the seating. The collection is available with white or black aluminium frames and light-grey rope and canvas upholstery. Rope detailing continues in the Jibe range as a sophisticated take on the nautical look. Jibe includes three occasional tables with a circular top and rope-wrapped base. The larger coffee table is black, while the high and low side tables are light grey. Lie back and relax with the adaptable Fields range, which includes a sofa that converts to a sun lounger, and a lounge chair that converts to an ottoman. There are also two side table options, and elegant aluminium plates for serving food outdoors. Multi is a range of crisp white pieces that are perfect for lounging poolside. The three-seater sofa and ottoman have a sled base, and a side table is available as an optional attachment for the sofa. A circular coffee table is an ideal accompaniment. The Basix table has alfresco dining covered. Basix has a minimalist, contemporary design with an aluminium frame and teak tabletop. Like all pieces in the DOMO Outdoor collection, the frame is made from contract-grade aluminium with a durable powder-coated finish in black or white. To complement Basix, the Soda dining chairs are a good-looking, comfortable and durable choice. The chairs have a rounded back and armrest, rope detailing and are available in black or white with light grey. With Pop, you can pull up a stool to a bar or high table or provide a space-saving seating solution. Available with a contoured teak seat and a black or white aluminium frame, Pop is a sophisticated, minimalist design to complement the collection. Tolo is a range of three hexagonal side and coffee tables with bamboo sides in black or white. Available in varying heights and sizes, Tolo looks great individually or clustered in a group with the flexibility to move them as needed. 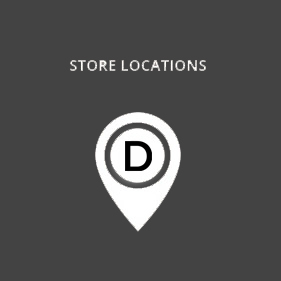 Visit your local DOMO showroom and shop the collection.